This week I was privileged enough to attend the NETA (Nebraska Education Technology Association) conference and attend George Couros‘ session about establishing and protecting your digital footprint. 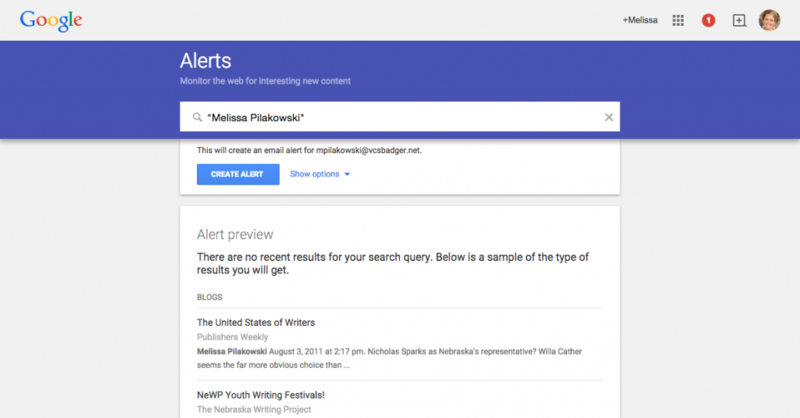 Although we can’t prevent stop from writing slander or untruths about us on the internet, we can at least be aware of them by using Google Alert. Then we can contact the writers and try to resolve the issue. It’s really simple. Here’s how to do it. 2) Type your name or the phrase you want to monitor. Every time your name or phrase is published online, you’ll receive an email notifying you. While this is vital for names, it’s also important for your school or business. If your school image is being tarnished, it’s good to know and, hopefully, resolve the issue. This is also an important quick lesson to teach students. It’s not too early for them to think about their online reputation. When they’re applying for jobs or college, they need to be aware if others are writing negative and/or untrue items about them. Of course, this is easy for someone like me with a unique name. 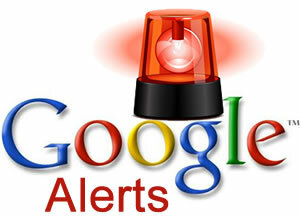 If your name is David Smith or Jane Johnson, the Google alert will be constantly emailing you. George Couros recommends using your middle name or initial when establishing your online abilities. This isn’t an overnight fix, but it will establish your brand and help differentiate you from other people with the same or very similar name.